Bodnant Garden is one of the finest gardens in the country famous for its Spring displays, Summer rose terraces, Autumn colour and Winter Garden. 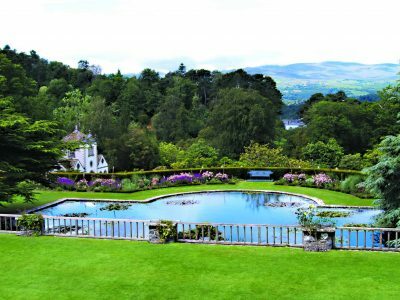 Its idyllic setting above the River Conwy provides breathtaking views of the Snowdonia range. Early entry from 9am in May and June.